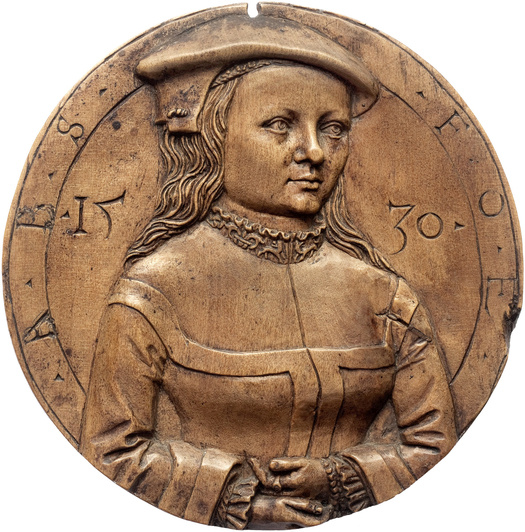 Popular during the German Renaissance, portrait medals can be considered a "Who's Who" of the 16th century. Due to the durability of the material a great number of them has been preserved in collections like the ones in Munich, Vienna and Dresden. The exhibition "Wettstreit in Erz – Porträtmedaillen der deutschen Renaissance" at the Staatliche Münzsammlungen Munich was co-organized with the Institut for Art History. CAS fellows and members were shown a number of medals by Professor Ulrich Pfisterer and Dr. Walter Cupperi.